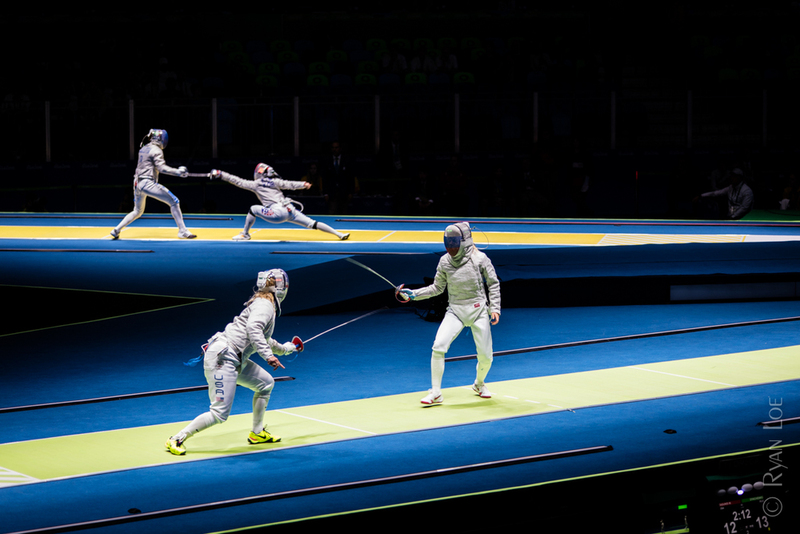 Morning schedule was Fencing at the Carioca Arena 3, where 4 simultaneous matches of Women's Sabre would occur on the floor at once. Was able to watch Team USA's Mariel Zagunis in her match against Greece. Where loud cheering is not the norm from the Fencing spectators, there is no controlling how the local crowd reacts when their athletes compete. The afternoon found us at the Olympic Aquatics Stadium, where the guards were not wanting to let us in due to the amount of camera equipment we had with us. We were able to talk our way in and found a crowd that was all about Team USA. 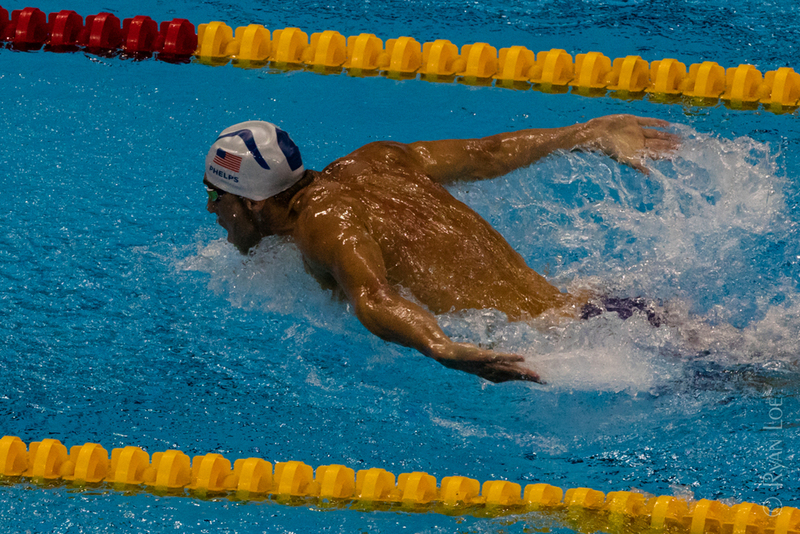 Highlights were Michael Phelps in the 200M Butterfly and seeing Katie Ledecky pull away in her lane during the Women's 200M Freestyle to claim the win. 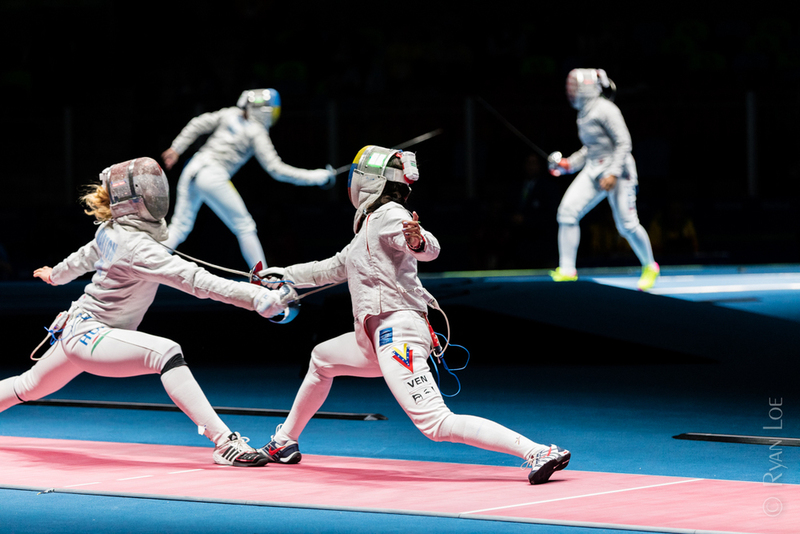 Four pairings of Women's Sabre athletes competed at once.